With all of the calls for HD remakes of the PlayStation-era Final Fantasy games, this might be the closest we can get besides Square Enix’s infamous PlayStation 3 Final Fantasy VII tech demo. 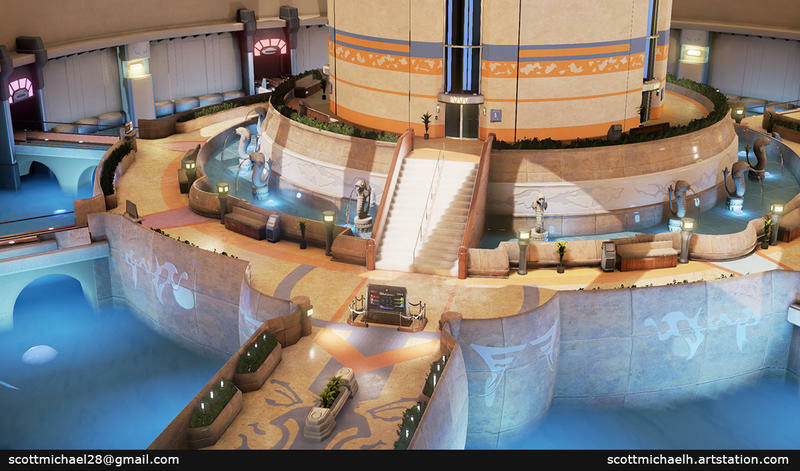 Fan and graphic artist Scott Michael has given Final Fantasy VIII’s central location, Balamb Garden, his own HD makeover. 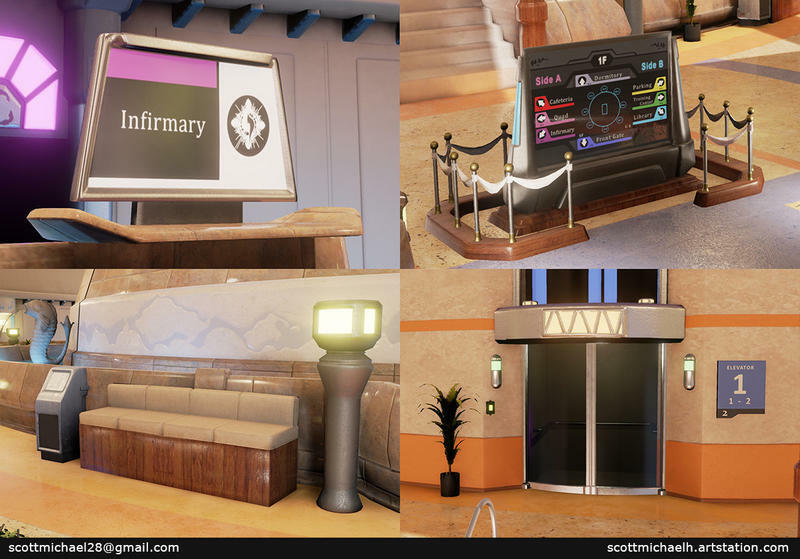 You won’t find any characters or any animation here, just the main lobby and all of the different camera angles you see if from in the game. 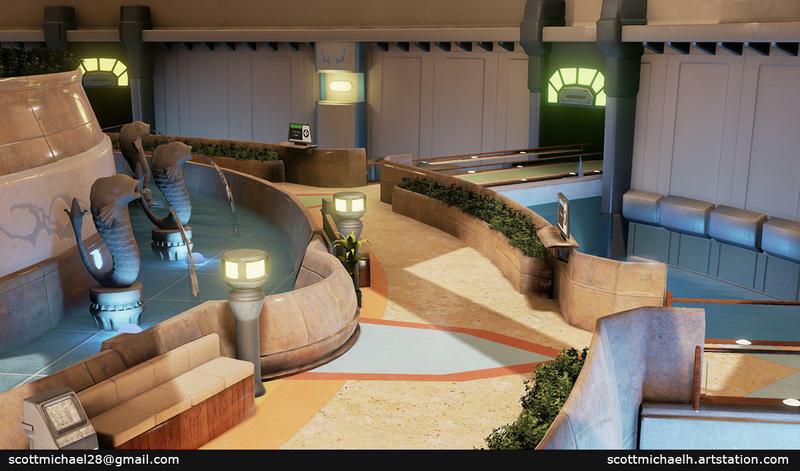 However, whereas the original was a pre-rendered background drawn by an artist, Michael’s rendition is a 3D environment made using Photoshop, Quixel and Unreal Engine 4. 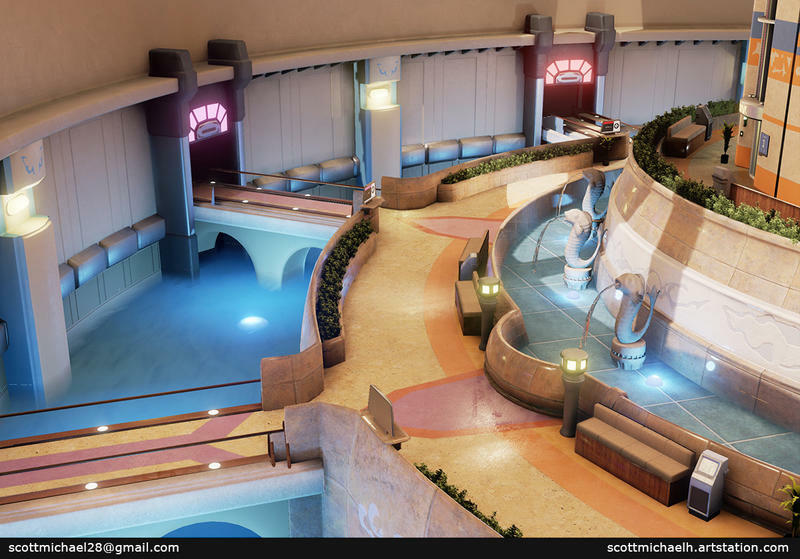 Can you imagine playing Final Fantasy VIII with environments generated by the graphic engine? Seemed ridiculous at the time, huh? Sadly, there is no way to experience Final Fantasy VIII in this gorgeous of a fashion. The most accessible releases are through the PlayStation Network as a PSOne Classic and a slightly upgraded version on Steam. The PlayStation Network one is fine by me though. I’m all for HD remasters and remakes of games from the PlayStation 2-era and afterwards, but half the fun of playing an old game from before those times is the clunky, aging polygons. Final Fantasy VIII still looks great in its original form, and I wonder if smoothing out the character models and polishing up the world would ruin its unique atmosphere. It is the most expensive experimental game ever made, and I would hate to see it stripped of all its game-breaking exploits.